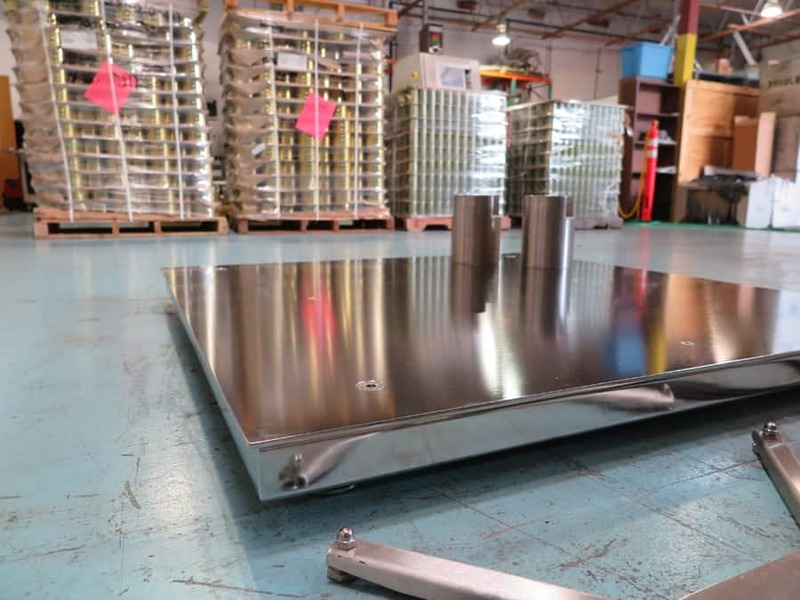 Some Processes Involve Highly Corrosive Chemicals That Eat Through Metal – Even 304 Stainless. One of our customers makes maraschino cherries, which use such chemicals, and were going through one floor scale and pallet scale after another. 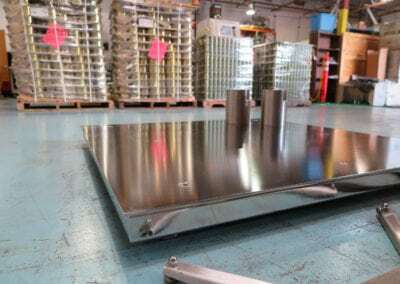 No matter how careful they were the chemicals would eventually get in contact with the display, a cell, a connection, or just eat its way straight through the metal. 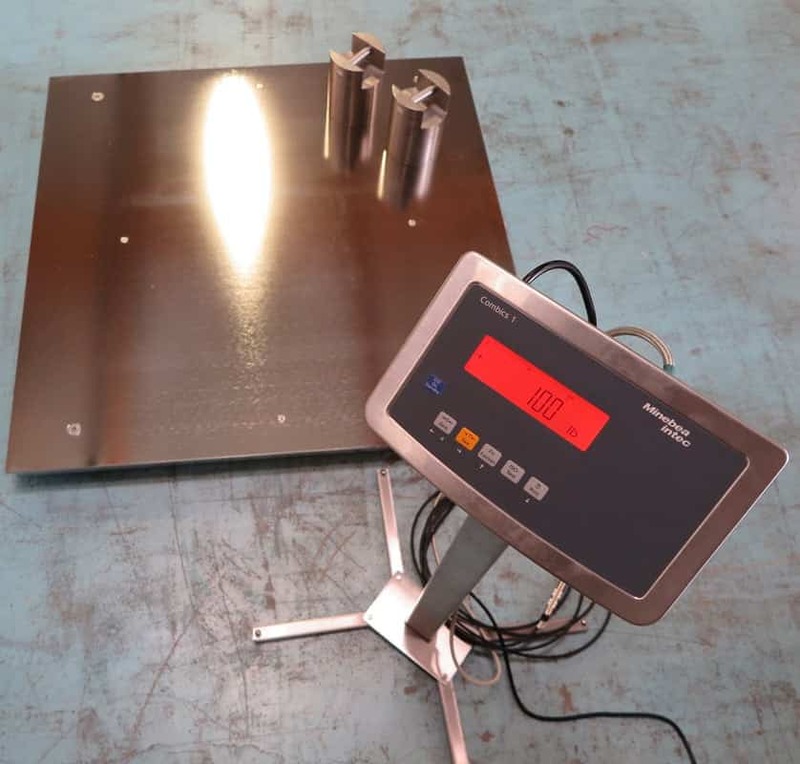 So when it came time for a new scale, they wanted one that would last and which could replace both floor and pallet scales. To combat the corrosion we started with an electropolish* finish on an already IP69K** floor scale model. Then we replaced the connections with quick, tight-sealing disconnects for the cables and an SS 4-point stand with a printer platform. This would get the display away from the chemicals and give them the portability they needed to replace the pallet scale. 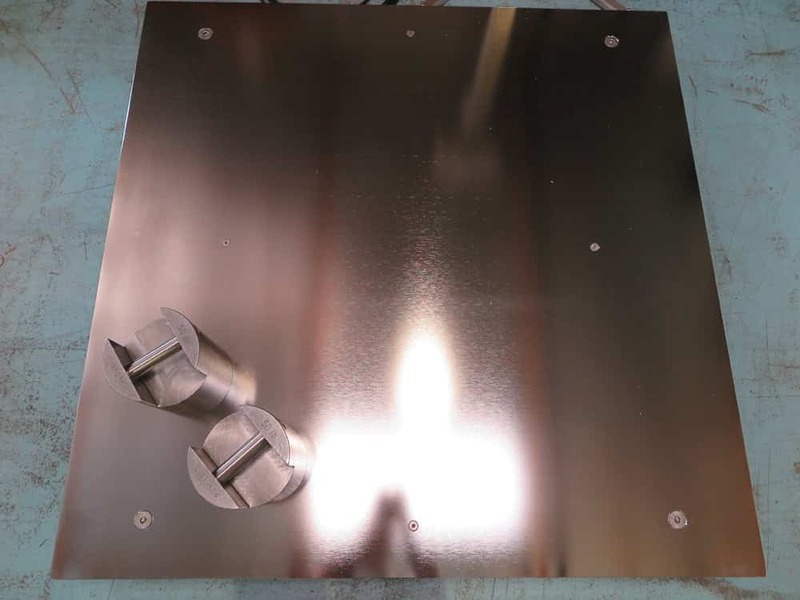 *Electropolishing involves connecting the positive terminal of a DC power supply to the work-piece and the submerging it in a highly acidic, temperature-controlled solution. When a negative terminal is attached to a cathode and submerged with it, the surface of the work-piece is “polished” in two ways. First, any irregularities or microscopic unevenness is flattened out because their greater surface area makes them react more quickly. 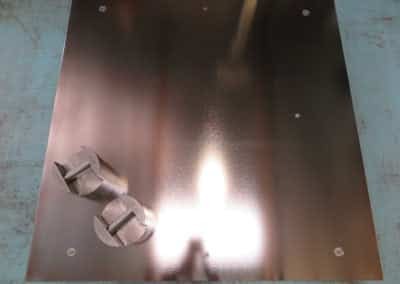 Second, the iron is removed from the surface, enhancing the chromium/nickel content. 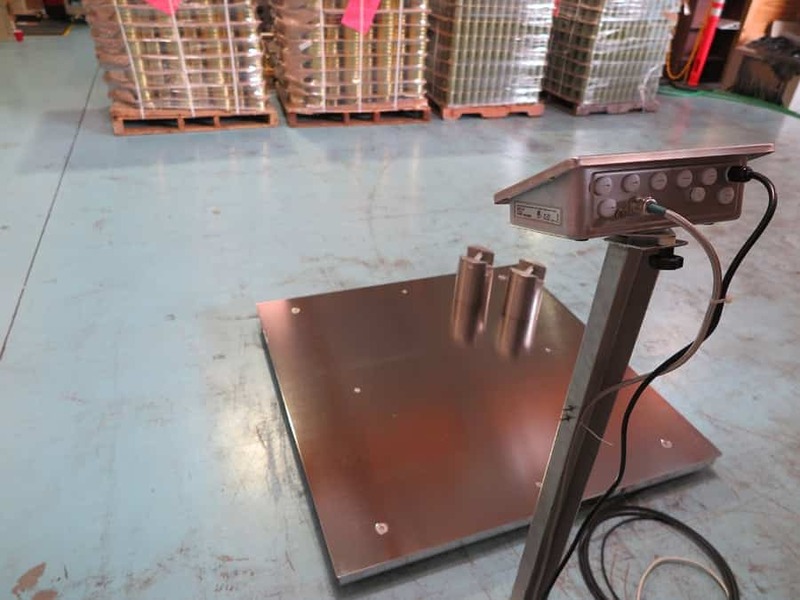 This makes the scale easier to clean and much more resistant to corrosion. **IP69K is a universal standard for equipment that withstands high-pressure water and steam cleaning.